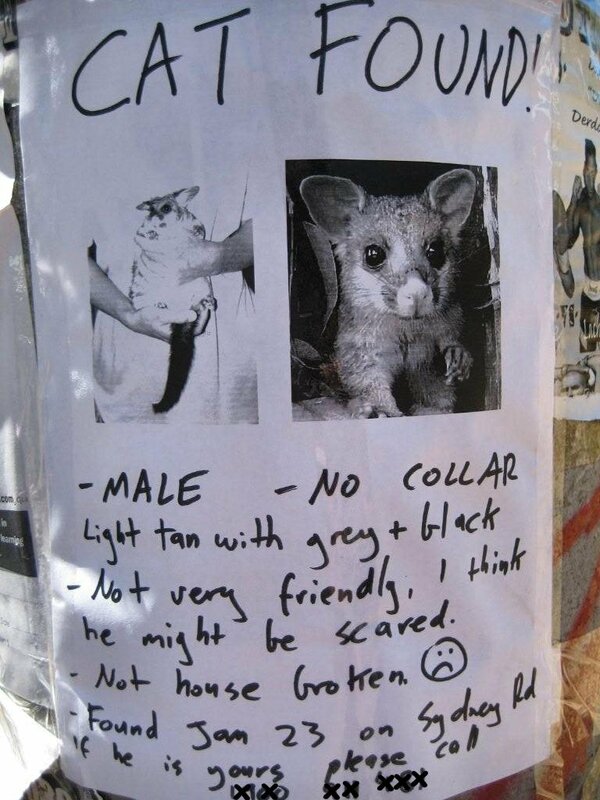 I hope someone has told him it is a possum and all possums are protected in Victoria under the provisions of the Wildlife Act 1975. They are definitely not “house-trained”! I read in the Sydney Morning Herald that approximately 200 dead crows had been found near Broken Hill, NSW and there was concern that they may have died from Avian Flu. They had a Bird Pathologist examine the remains of all the crows and he confirmed, to everyone’s relief, the problem was definitely NOT Avian Flu! However, he determined that 98% of the crows had been killed by impact with trucks, and only 2% were killed by an impact with a car. The Broken Hill City Council then hired an Ornithological Behaviourist to determine the disproportionate percentages for truck versus car kill. The Ornithological Behaviourist determined the cause very quickly. 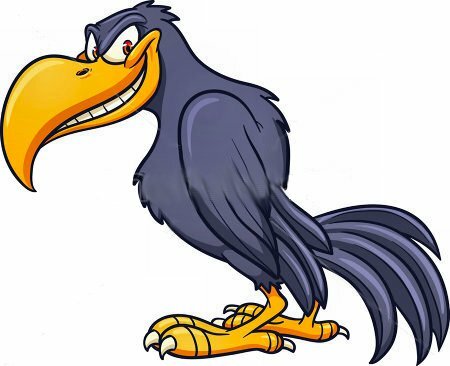 When crows eat road kill, they always set up a look-out Crow in a nearby tree to warn of impending danger. His conclusion was that all the lookout crows could say “cah” but none could say “truck”! A few of you may have heard that on January 30, 2013 the Australian Prime Minister, Miss Fanta Pants (aka Julia Gillard), called a Federal Election to take place on September 7, 2013. Australians will be so sick of the campaigning by Miss Fanta Pants and the Opposition Leader, Mr Budgie Smuggler (aka Tony Abbott), that the Feline Pawty lead by the ever so handsome, Mr Bumpy Cat, will romp into power with a humongous majority. 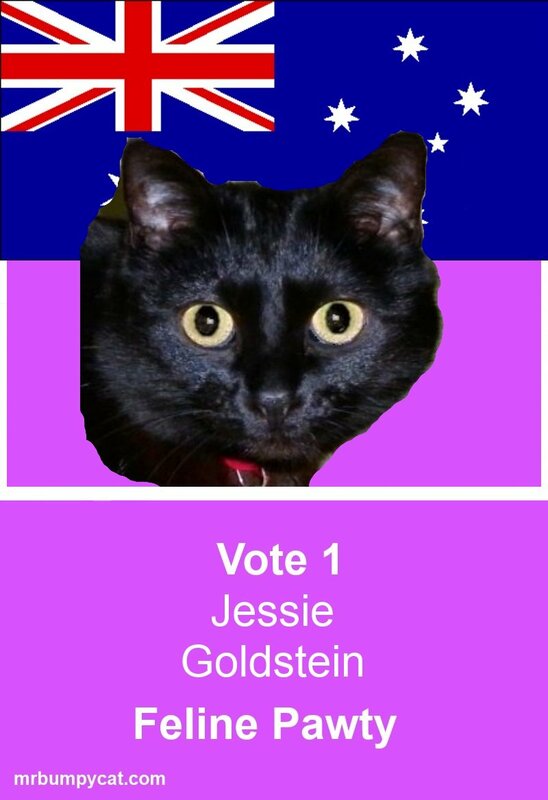 Mr Bumpy is presently calling on all members of the Feline Pawty (including all Australian Honorary anipals) for Candidates … see Preselection. My hoodies have elected me to stand in the “blue blood” seat of Goldstein in Victoria which is presently held by Mr Bojangles (aka Andrew Robb). My campaign strategy will be revealed in coming months. 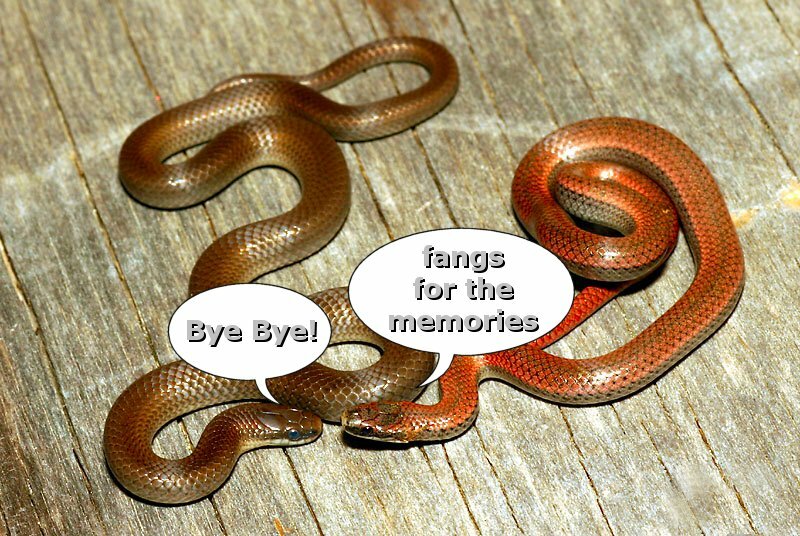 Dont you love the poster that our fearless leader Mr Bumpy made for me? Then I realised I was watching a dog chase his tail. Thanks to my wonderful furiends at 3 Aussie Cats and we are truly honoured. It such a gorgeous award! 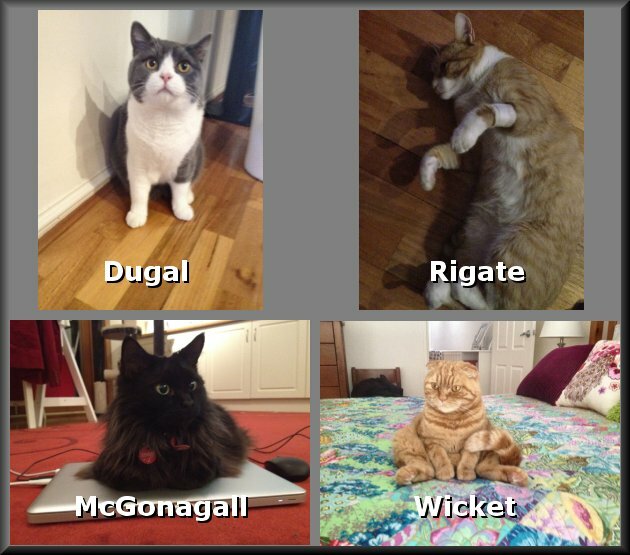 First of all, before getting down to the hard work, I want to introduce you to my furiends at 3 Aussie Cats (now 4 Aussie Cats, hehehehe). Without doubt they are the happiest, friendliest mob of cats in all of Adelaide, Australia and are very very loyal furiends. 1. Link back to your furiends who have honoured you – DONE! 2. 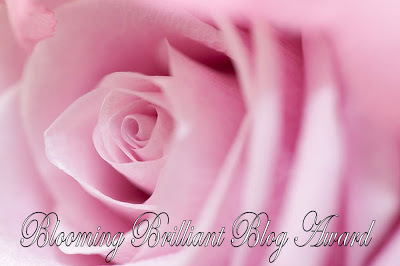 Pass the award on to a minimum of 4 other blogs – SEE BELOW! 3. Answer this question: If you had a brilliant idea what would it be? My brilliant idea would be (*drum roll* needed) to wave a “magic wand” to stop all anipal cruelty around the World and ensure that humans had anipal loving hearts! Just wanted to let you know that, yesterday on Twitter, I met Alex Harris (@koalatracker). Thank you so much @petsarefound for the introduction to this lovely lady! *whispers* how about following both these twitter accounts? 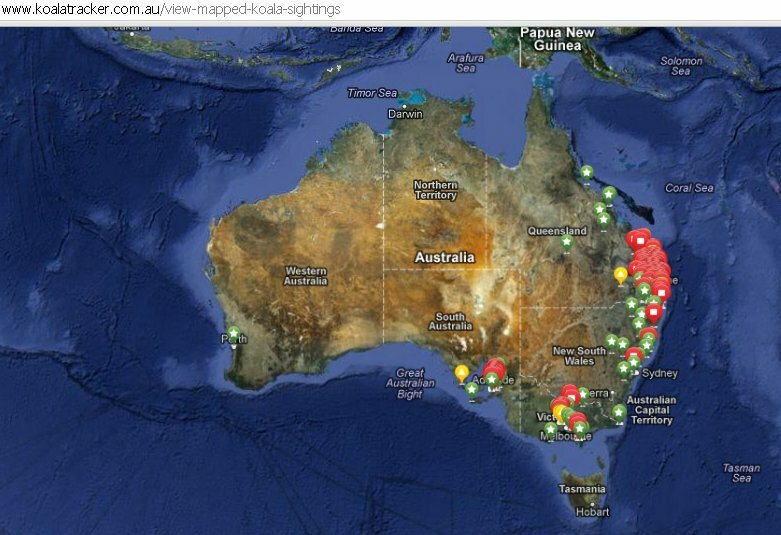 I’ll let you explore Alex’s webpage Koala Tracker but (believe me!) its worth a visit. I joined immediately (its FREE!) and captured the above picture which shows the devastation our recent floods and fires have caused our Koala population. I’m going to ask Uncle Hugh to become a Koala Tracker as he lives in the bush!